The stereo power amplification, M-900u, has been created to bring out the best sound expression from the speaker system. The rich gradation sound quality has been achieved from deep bass sound to clear high tone with sufficient drive force acquired by connecting the 4-parallel push-pull structural output units in parallel. Luxman’s original ODNF circuit that provides both a lively feeling and ultra-low distortion has been evolved to the latest version 4.0. 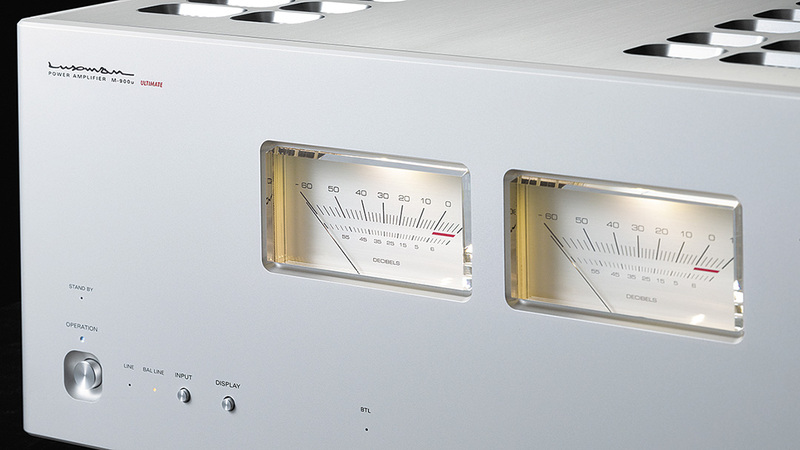 The transparent large analog meter produces the enjoyment of listening to music with finesse, and the exterior design with blasted white finishing encloses high power gently. The BLT connection allows the user to use the unit as an ultra-high power monaural amplifier of 600W (8Ω). * ODNF is an abbreviation for “Only Distortion Negative Feedback”. The role of the power amplifier is to amplify sound signals from the control amplifier in faithful accordance with inputs and to vibrate the speaker units precisely. To perform these tasks, the great drivability and firm linearity of the output circuit are essential. M-900u has not only acquired sufficient rated output of 150 W + 150 W (8Ω), 300 W + 300 W (4Ω) but also achieved instantaneous maximum output of up to 1,200 W + 1,200 W (1Ω). Therefore, the unit can be ready with leeway for a sound source that requires high energy in a moment and drive speakers in any circumstances without being affected by change in speaker impedance. In addition, the BLT connection allows the user to use the unit as a monaural amplifier with the rated output of 600 W (8Ω). For the circuit configuration with this mighty power, 1 module of 3-stage Darlington and 4-parallel push-pull amplification circuit that is most excellent in sound quality according to our experiences of amplifier development for a long time and 4x2 output in which 2 modules are combined per a channel are used. The effect of the counter electromotive force from a speaker is suppressed by maintaining the damping factor to 710, and overwhelming power linearity to drive the speaker unit is achieved. The latest version, 4.0, of the ODNF circuit that performs feedback of only distortion components is introduced to the amplification circuit. Then, both the merits of NFB (negative feedback), i.e. low distortion and wide-band characteristics, and the features of a non-feedback amplifier, i.e. quick response and natural tone quality are provided. The ODNF circuit version 4.0 has the improved accuracy of detecting distortion with use of 3 parallels of the first stage of the error detection amplifier. The expressive power of silence has been improved and the sound emotion is finely and heavily expressed by minimizing the feedback amount, reducing the distortion at high frequencies or low sound volume, and reproducing minimal sound data precisely. 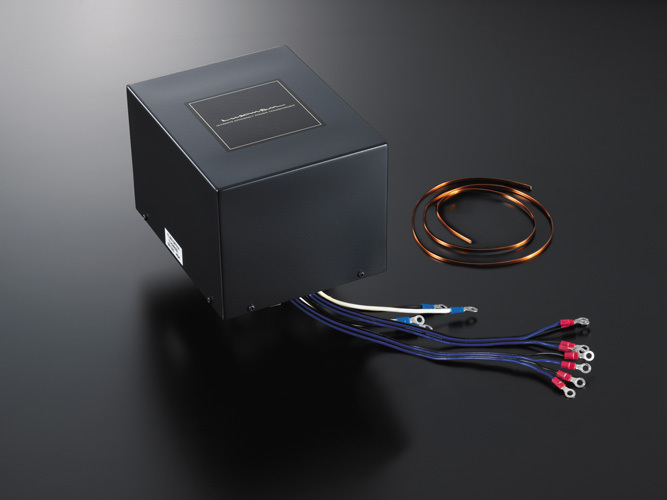 The high-performance EI type super-regulation transformer is placed on the power supply unit to support the high power of M-900u with the aim of eliminating the loss space, minimizing the capacity between lines, reinforcing the unifying force, stabilizing the magnetic field, and more by winding the flat-type copper coil tightly. The regulation performance that is not affected by any load fluctuation is achieved owing to the large capacity of as much as 1,250 VA. Power can be sufficiently supplied to fully drive the speaker unit. To provide the power of the heavy-duty power supply circuit supplied from the large-capacity block capacitor of 20,000μFx4 to the amplification circuit instantaneously without any loss, the main electric current line between the power supply unit and output stage is directly connected by hardwiring using a extremely thick OFC bus bar. 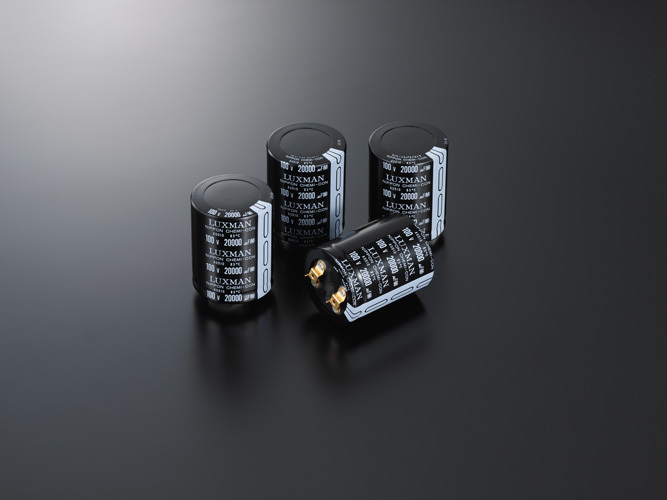 What is more, to transmit the powerful drive force generated by the large-scale output circuit without loss, the large-capacity speaker relay with low resistance in which 4 contacts are connected in parallel is equipped. The overwhelming value of the damping factor, that is 710, has been achieved. 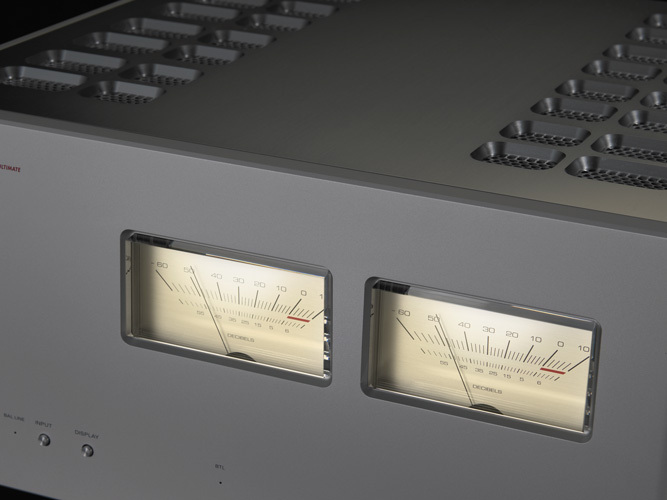 A large-scale needle-type meter is introduced to provide not only audible sensation but also physical sensation for the lively feeling of sound. The electric bulb color of the LED illumination is the result of our persistence in dignity and visibility. The meter is equipped with the ON/OFF switch for operation and the ON/OFF switch for illumination. For M-900u, up to 12 W of the output is operated with pure class A. In this case, the meter reads -10 dB or so, and the inclusion of almost all of the ordinary volume range balances between high power and dense sound quality with pure class A. A stray current in the chassis generated by the ground loop may cause the deterioration of sound quality such as increase in impedance and magnetic field generation. To prevent this trouble, M-900u uses the loopless chassis that does not have a ground loop. 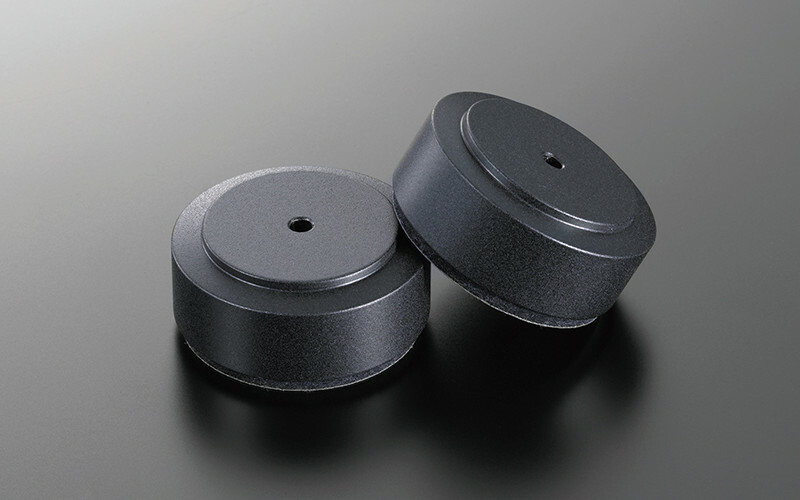 The gradation cast-iron is used for the legs to shut off external vibrations and relieve internally generated vibrations. The chassis has a structure to hold heavy parts firmly and an appearance to show overwhelming presence and to be covered with blasted white neatly, which leads to the combination of strong and calm design. Hear the Luxman M 900u Power Amplifier at Command Performance today!